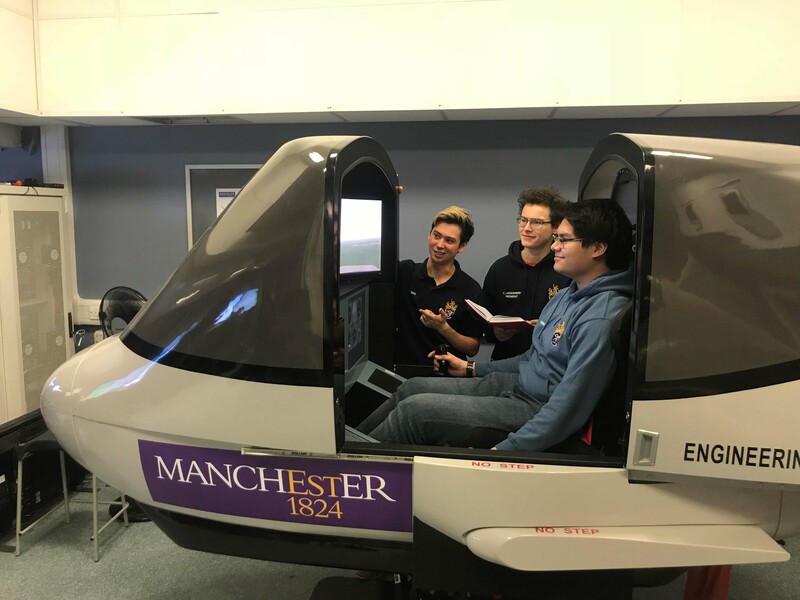 Following last year’s very successful international student competition, Merlin Flight Simulation Group are set to hold the 2018 Event at The University of Manchester again. IT FLIES is the only international student competition where student’s aircraft designs are flown and assessed in a simulator by a professional Test Pilot. Paper design competitions are numerous, but IT FLIES shows how new and innovative student designs actually fly! Manchester is one university well known for its students’ innovative designs – last year a hover taxi which won IT FLIES USA – this year who knows? Competition will be strong for 2018, with plenty of students keen to enter – after all, to have your own design flown by a Test Pilot is a once in a lifetime opportunity! ‘The Flight Simulation Society of Manchester University feels honoured to host the IT FLIES competition once again this year. After last year’s tremendous success and impressive presentations, we expect nothing more than the best for this year’s competition. We are happy to see familiar faces from Dayton and Amsterdam again and will look forward to sharing our know-how and seeing what they have brought to the UK this year. We are currently drafting new models and ideas. The diversity in design choices this year is greater than ever, ranging from heaviest of lifters, to the fastest fighters while not forgetting the classic commercial airliners. But all come with a twist, a must for nearly all our previous and future concepts.